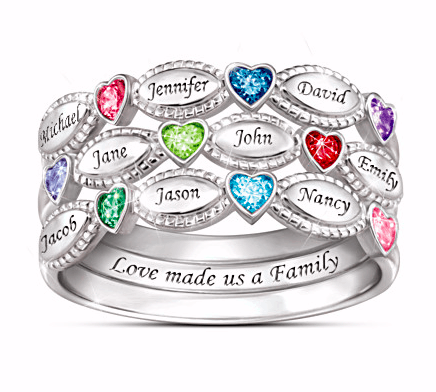 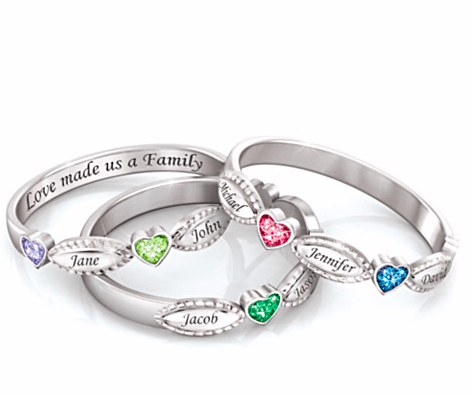 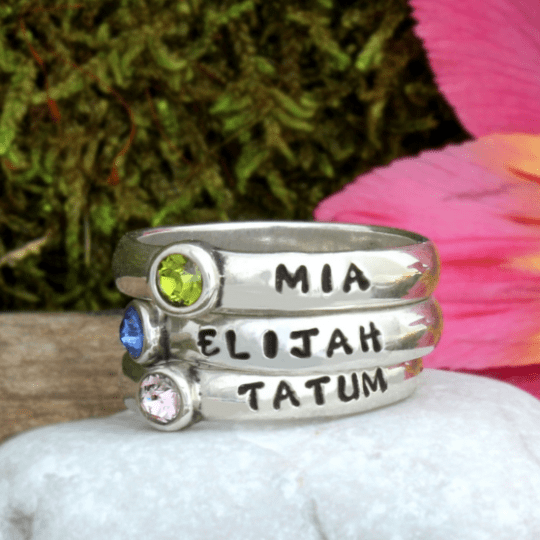 Delight Mom, Grandma or your wife this year with this striking personalized stacking ring set! 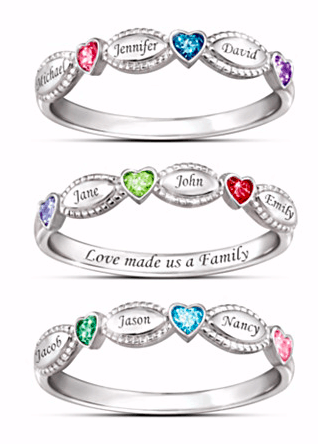 Choose 2 or 3 rings that are personalized with up to 9 loved one’s heart shaped birthstones and names. 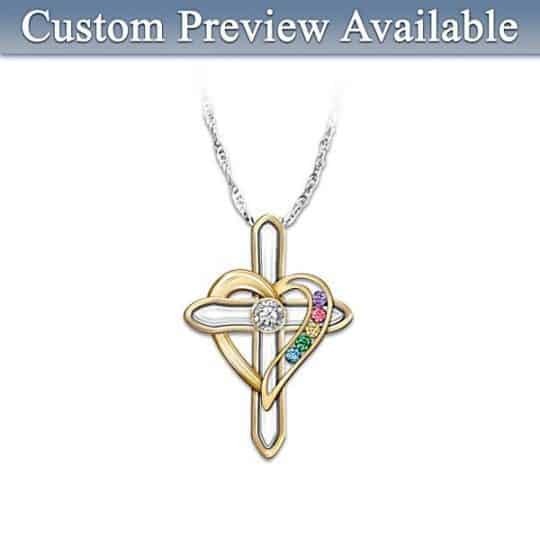 A gift she’ll treasure forever!